Check out this beautiful Single story home with over 2, 100sqft that is situated nicely on a corner lot In Calexico&apos;s desired Las Brisas Subdivision. This home features a nice bonus room that could easily be used as an office, bedroom, or study room for the kids. The garage was converted into living space with the proper permits making it ideal for a large or growing family to utilize as a bedroom or den. Stay refreshed and enjoy your early mornings or afternoons under your full length covered patio. The back yard is spacious with room for the kids to play and room for pets to roam. The backyard also has side access for desert toys or a small trailer. 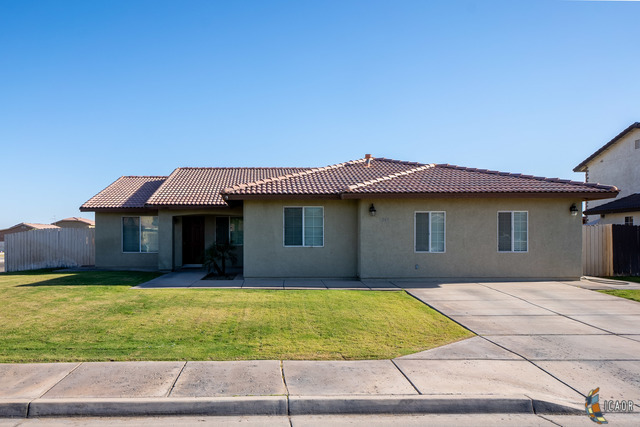 Home is walking distance to Enrique Camarena Junior High and minutes away from Calexico High School, Mexican/American international borders, El Sol Meat Market, and Bulldog Aquatic Center. Buying season is here and your dream home is calling your name. Visit this home today to make it yours tomorrow.